Typically, the majority of Trespasser game files remain on disk and are read from there during gameplay by the cd-rom. There is, however, another option. Generally referred to as a ‘harddrive’ installation, there are several beneficial reasons for installing the game in this manner. 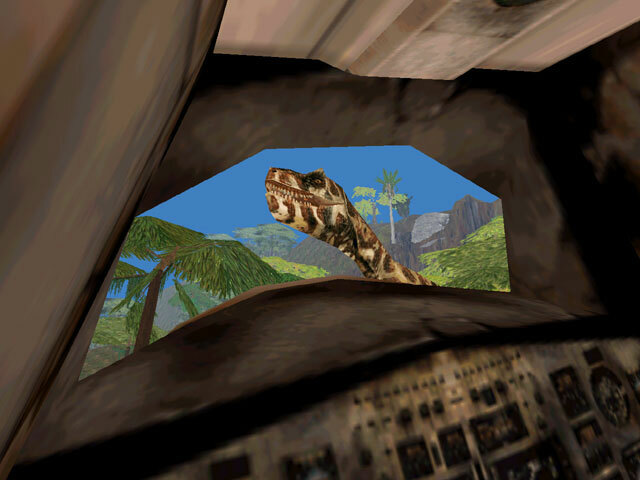 Some of those benefits are: allows you to play the game without aid of the cd-rom, thus allowing a user to store the Trespasser cd instead of subjecting it to potential damage due to useage, smoother gameplay during audio calls, and perhaps mostly importantly, a harddrive install allows a player to enjoy the use of TresEd (Trespasser Level Editor) as an editor and not simply as a viewer. You will not only be able to edit the game’s levels on your own, but the harddrive install will also present you with the ability to play and enjoy an ever growing list of fan levels created for the game. The information that you will find below will guide you through this simple process. 4. Before commencing the copyng of the cd, please be certain that the option of ‘view hidden files’ is checked. (From window, choose tools, options, then view. Check box ‘view hidden files’. 6. Return to the newly created file, ‘tres cd’ and open. Right Click and choose ‘paste’. This will copy the entire contents on the CD onto your harddrive into the tres cd folder. 7. Once Cd copying is complete, remove the Trespasser cd from its drive. Very Important! Put away in safe location; you will no longer be needing it. 9. Follow Trespasser’s onscreen installation instructions. 10. That’s it… you’re done!